With the addition of awards comes new competition ! Each month we'll be crowning the most active member on the forum with a time exclusive award in their profile. Only one person can wear this award at a time.. will you be able to defend your position as the most active member !? Find out next month when we crown the victor ! Leah7 wrote: Holy CRAP, I got 98? That's a miracle for me, wewt! Yep, congrats ! Are you ready to add an extra digit this month ? YESH. >) I'm gonna do eet! @Ange Tuteur Don't forget about this section bro. Ayeeee thanks for the reminder. I actually still need to post the results for September from when I was MIA. 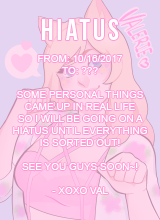 e.e I think I'll announce them with October's results. Wish i could be more active here! Looks like I lost a month somewhere.. >.> NO MATTER, It's time to announce our members of the month ! @Ace 1 with 212 posts. Coming in first is @Valoish with a whopping 1154 posts ! Coming very close to Valoish in second is @Ace 1 with 1151 posts ! And in third place we have @SLGray with 144 posts ! CONGRATULATIONS TO ALL OF YOU !! See you next month when we announce our members of the month for November ! Stay warm ! You almost beat me, Ace >u> Maybe next month~ Or maybe not..
@Ange Tuteur, don't forget about the awards and MotM! Samantha NL wrote: @Ange Tuteur, don't forget about the awards and MotM! Thanks, almost slipped my mind.. again. Oh I'm sure he's on it right this moment! He's the head chief, top dog, the hula hula man, the big cheese, our chef alright! Imagine where we would have been without him. Wait and see to get served, however... what's been coming out of that kitchen lately could have had some slight improvements. It'll be alllllllright I'm telling you (just not today it won't be ) He's probably caught up on the tele with his new gf .... Either that or MIA trying out his new job as Santa at the local mall, or KIA even eating too many pizzas and drinking too much coffee... Stay tuned for more! Aye, though not enough to keep me from doing things. Honestly I've just been tired and relaxing mostly, while working on stuff on and off. Nothing new though, since I usually do end up taking a break near the end of the year, because the weather bothers me. Alllmost lost it again ! Must be the cold.. >.> ANYWAY it's time to announce the member of the month for November ! Coming in 1st we have @Valoish with 501 posts ! In 2nd place is @universecat with 359 posts ! And in 3rd place we have @Ace 1 with 347 posts ! Congratulations to you three ! See you next year when we announce the last member of the month for 2016 ! Happy holidays ! It's about time you logged in with that secret hidden account of yours and ran that script again to gave us our fair share on those awards, @Ange Tuteur! I'll look into posting the results up soon, just gotta double check. Sorry for the delay on this. I checked the statistics and the results correct to what's mentioned above. @Samantha with 307 posts ! @Valoish with 271 posts ! and last but not least @Ace 1 with 167 posts ! I also have some sad news for those of you who enjoyed this little competition.. December 2016 will be the last member of the month competition. I hope all of you enjoyed fighting for the top spot ! Those of you who have been member of the month in the past will receive the award as a memento of your achievements.